Aleppo, SANA- A convoy of humanitarian aid was delivered on Thursday to the locals in Afrin area in Aleppo countryside, and it is the first of its kind after the Turkish aggression last Thursday targeted a convoy of aid at al-Zyiara village before entering the area. 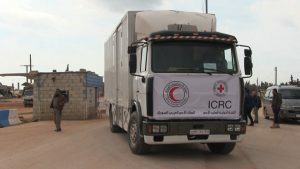 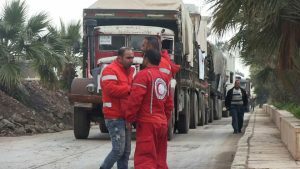 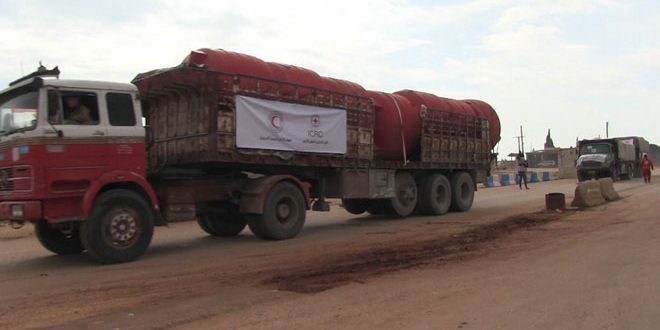 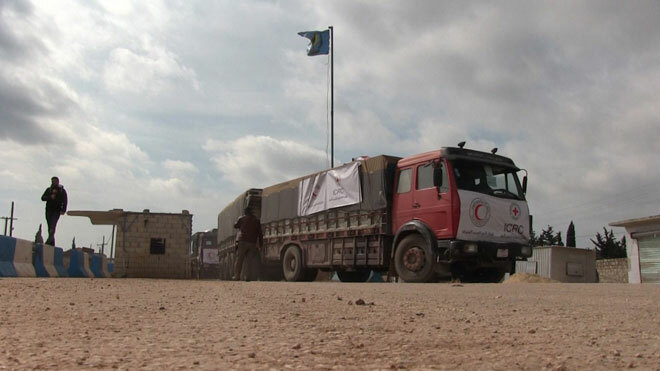 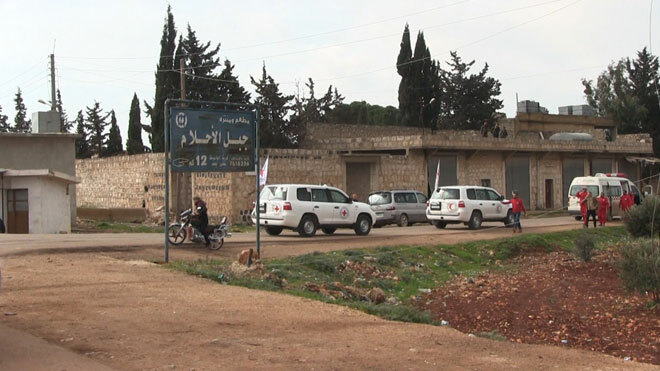 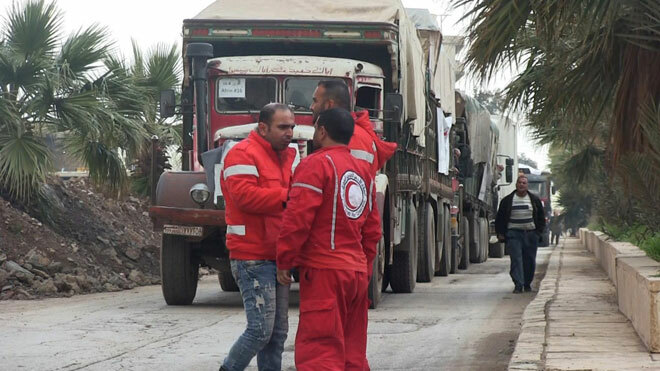 SANA’s reporter in Aleppo said that a convoy of humanitarian aid including 28 trucks entered the crossing of al-Zyiara heading for Afrin area in the northern countryside under the supervision of the Syrian Arab Red Crescent (SARC) and the International Committee of the Red Cross (ICRC). 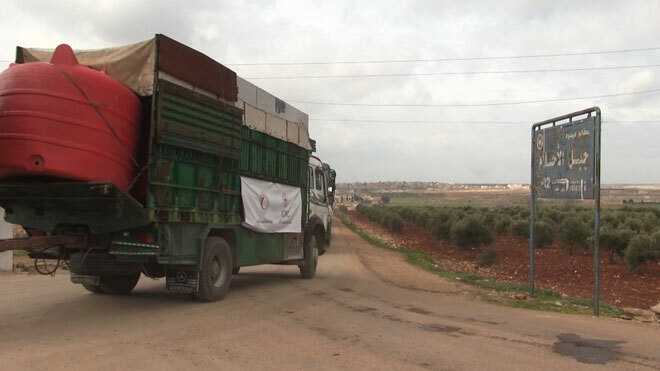 The reporter added that the aid convoy included food and health materials and other relief materials to support the resilience of the locals in the face of the repercussions of the continued Turkish aggression on Afrin area.